A. Roque, baritone saxophone and ocarina; P. Bernardino, clarinet; P. Santos, accordion; C. Francisco, voice; I. Catarino, voice; I. Markava, voice and dance. Under the mastery of a great master of ceremonies we will discover the sound of silence, the sounds of the world that surrounds us and a lot of music for all time. From Mozart, Bach and Monteverdi to the sound of a bird. A proposal of great artistic sensitivity and a great deal of proximity to the performers, designed so that children enjoy one of their first concerts in a very quiet and silent atmosphere. Paulo Lameiro, musician, pedagogue and director of this project has been an international pioneer in the production of concerts for babies. 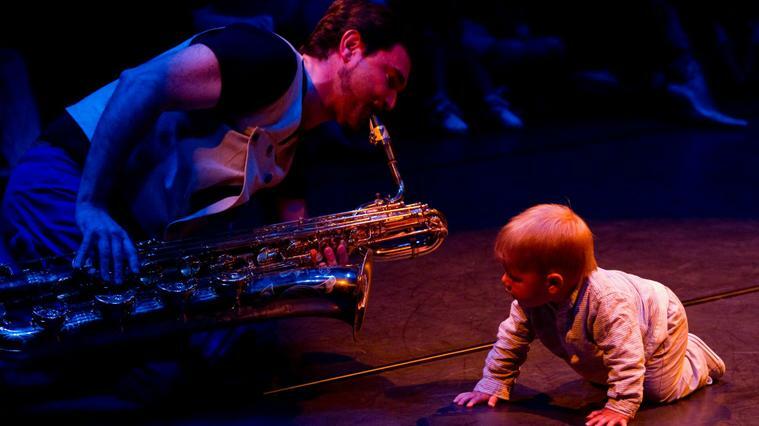 The main objective of its concerts is to offer an exchange and complicity experience for babies, accompanists and performers because from the silence, we discover the pleasure of listening to quality music performed live.